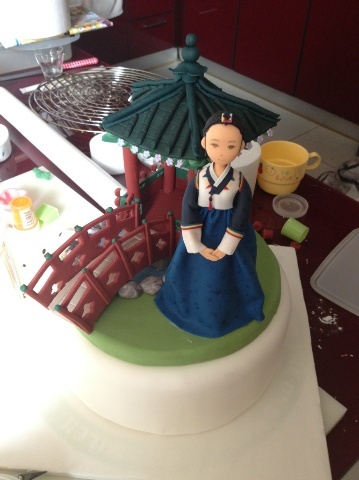 The fans have sent a birthday cake with a shaman doll which looks exactly the same as her to Han Ga In as birthday gift. 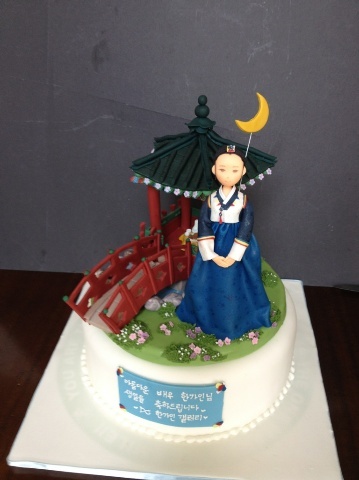 On the birthday of Han Ga In on February 23rd, 2012, the fans of MBC TV series The Moon that Embraces the Sun presented a unique birthday gift – a birthday cake with a shaman Wol doll. 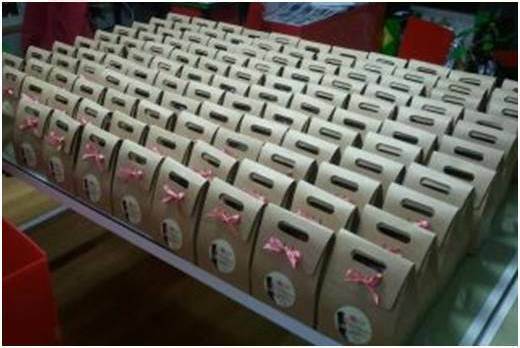 In addition, the Japanese fans also prepared snacks for the 150 staff crews. 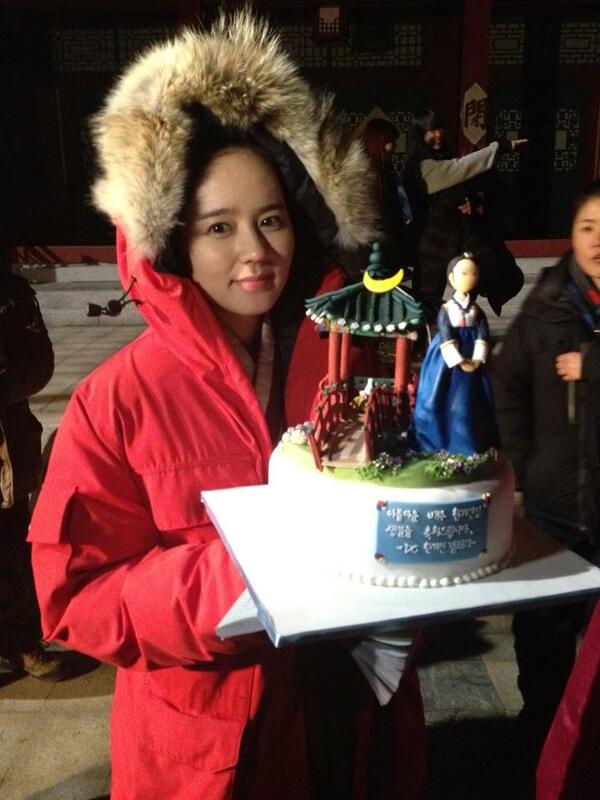 In this regard, Han Ga In wore a red down jacket, held the cake and express gratitude with a smile. Seeing the photos, netizens said, "Happy Birthday sister Han Ga In, although it's at the set and not at home to celebrate the birthday, but must also be happy," "The doll on the cake really look-alike, really envy Yeon Woo," "Drink seaweed soup?" "The love of fans is touching" and so on.